WoD candidate Eminoni Limalevu set on a journey to engage multiple stakeholders in his effort to make a real difference in the communities he works with. Eminoni is taking an integrated approach whereby he leverages the strength of the Foundationâ€™s thematic areas to address community issues. From health, women and youth to micro-business development, Eminoni advises individuals and groups that working together and dealing with issues in a holistic manner has aÂ greater impact. In doing so he has been liaising with the Nadroga/Navosa Provincial Council, Department of Agriculture, Church Groups, and women and youth groups. With other Foundation stakeholders, he has been conducting health screenings, creating awareness on environment, and promoting sustainable farming. 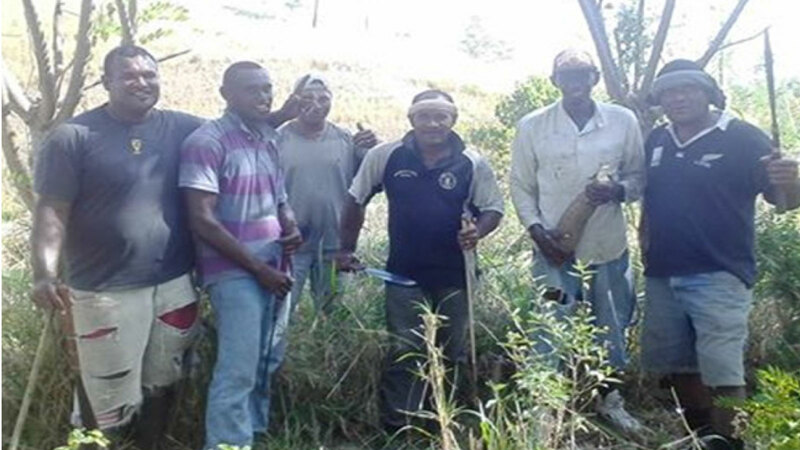 In his recent effort, Eminoni managed to collect 1000 dalo suckers from 10 farmers in Naqelewai, Naitasiri for Dayala Youth Club in Nadroga. The dalo suckers were transported to Korotogo Village in Nadroga by a church minister without any cost. â€œSuch collaborative efforts make things easier and cost effective,â€ say Eminoni.